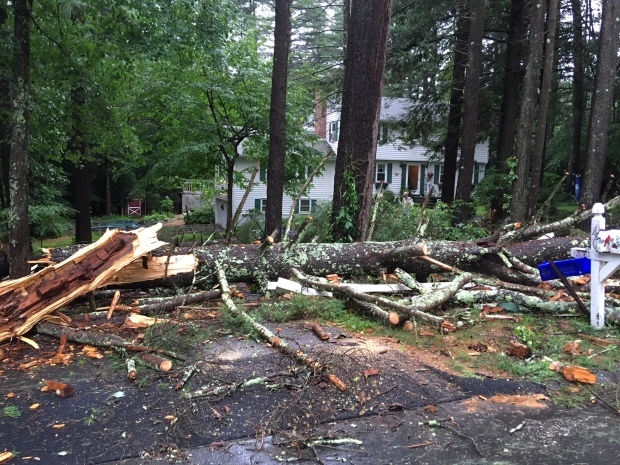 This was the fifth tornado in Connecticut in two months. Crews continued to pick up debris two days after a tornado that caused damage in Ashford. The quiet town of Ashford is moving forward after a tornado tore through it Tuesday afternoon, cutting a path of destruction west of Ashford Lake. After surveying the damage Wednesday, the National Weather Service determined an EF-0 tornado touched down for 60 seconds. Marie James watched the storm move in from her lakeside home, which was just outside the tornado’s path. “That north wind that met the south wind, that’s how I’m describing it, was so forceful, it blew all the stuff going down,” explained James. A few houses over on Sunset Drive, the tornado swept through Dianne Nelson’s backyard, toppling a tree onto her roof. ”I was receiving text messages and pictures of my house, and then when I got here…it was a lot worse then what I had imagined,” said Nelson. Nelson said repairs will take time but is grateful her neighbors are ok.
Nelson, like others, told NBC Connecticut she has reached out to the insurance company to begin repairs. 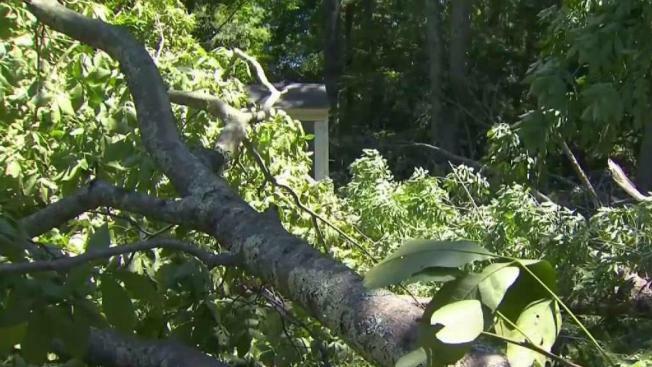 There is an average of two tornadoes a year in Connecticut, but there have been as many as four to seven in a year to touch down in the state. On May 15, 2018, there were four tornadoes in Connecticut. An EF-1 tornado touched down in Oxford. A second tornado developed near the center of Beacon Falls and continued into the hills of Hamden. An EF-1 tornado hit the Winsted area on May 15 and another hit the area of the Barkhamsted Reservoir.